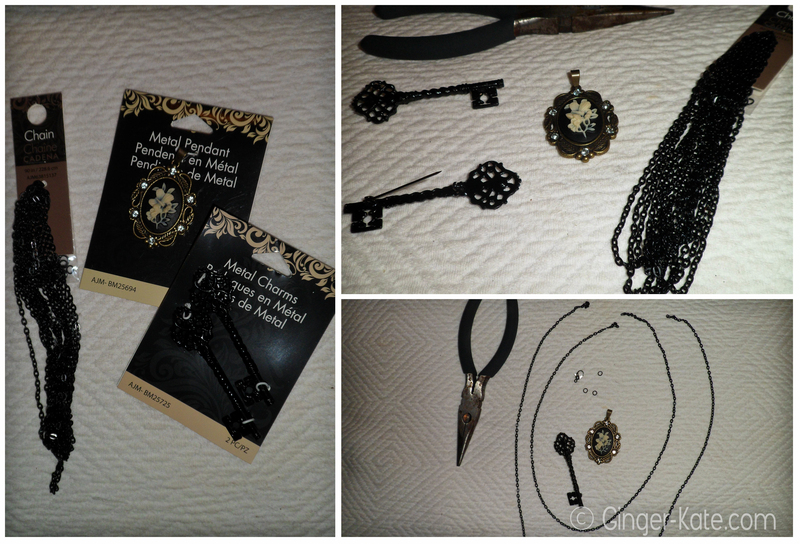 Recently, I came across some jewelry making supplies in the clearance bin and couldn’t pass them up! 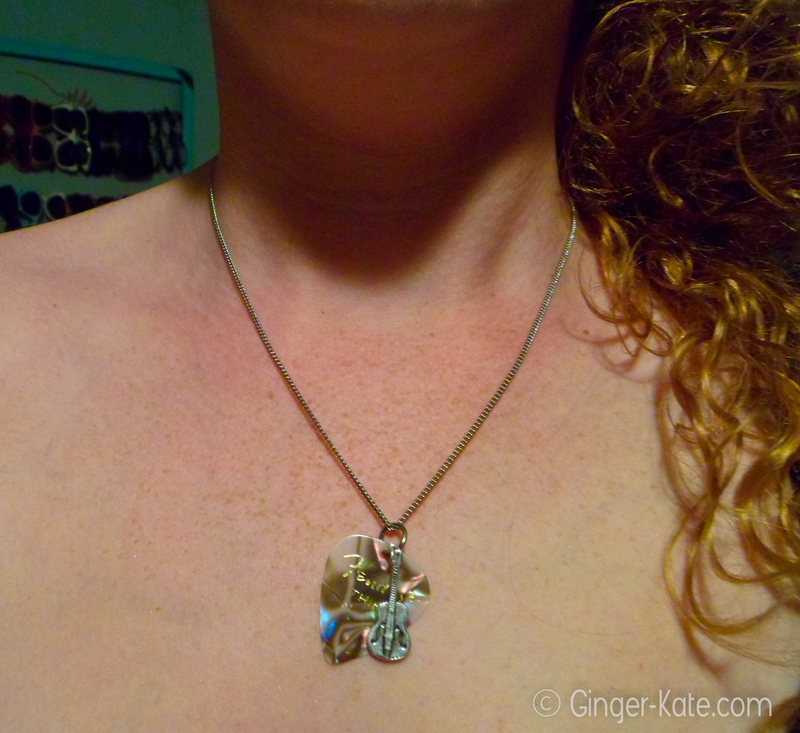 The other night, I started putting together some of the pieces of jewelry and even wore my Guitar Charm/Pick necklace yesterday. 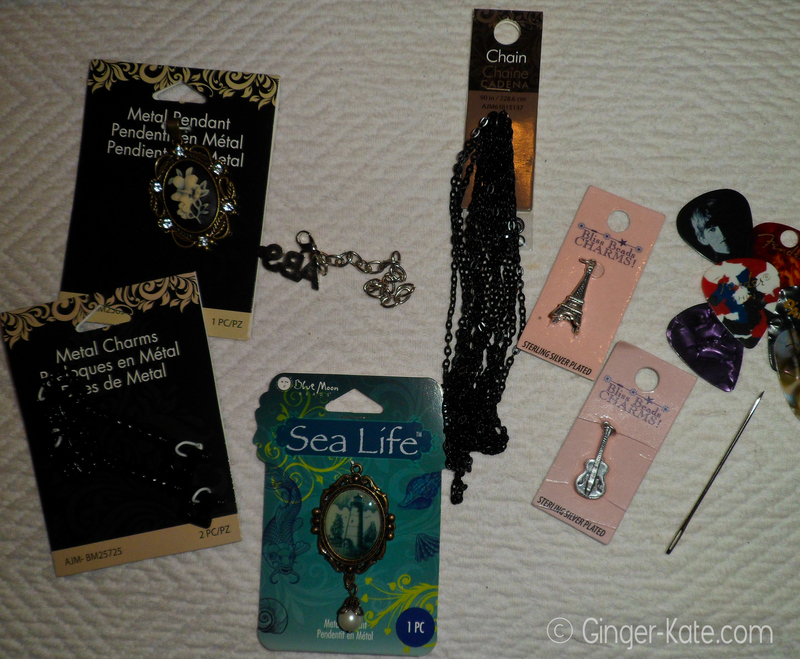 The supplies: clearanced jewelry making items, pilfered guitar picks and a sewing needle. This charm was only $.25. 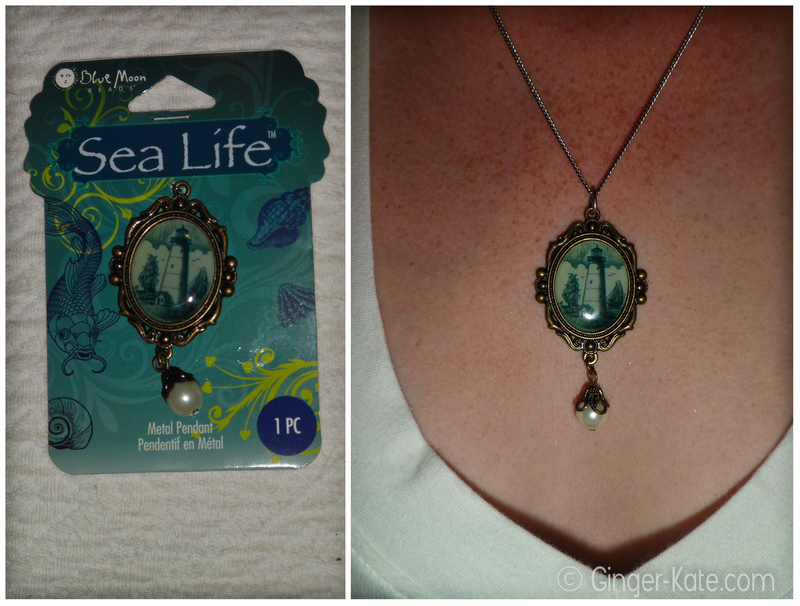 I simply needed to add a hoop link and string a silver chain through it. I heated up with sewing needle and made the perfect sized hole in the guitar pick that I chose to work with. 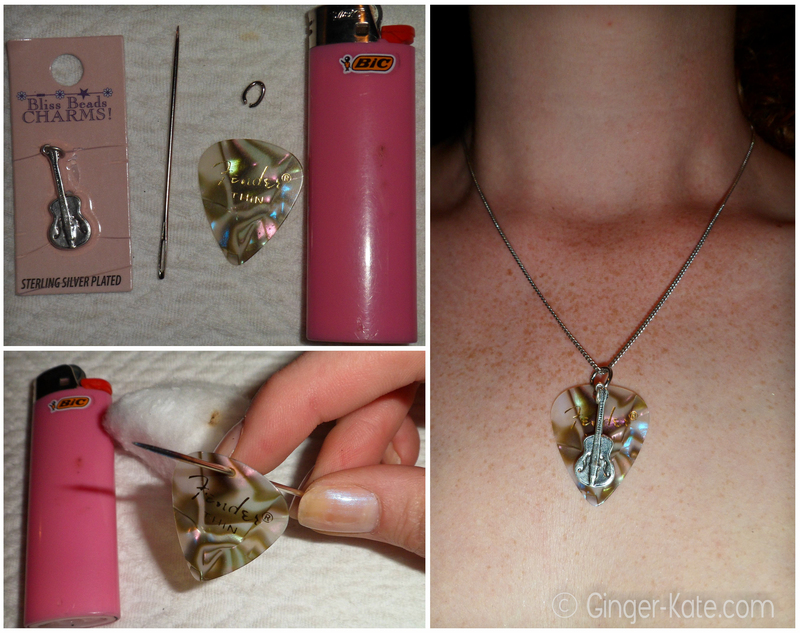 I linked the guitar charm to the pick and put it on a silver chain. This last piece I’m especially proud of. 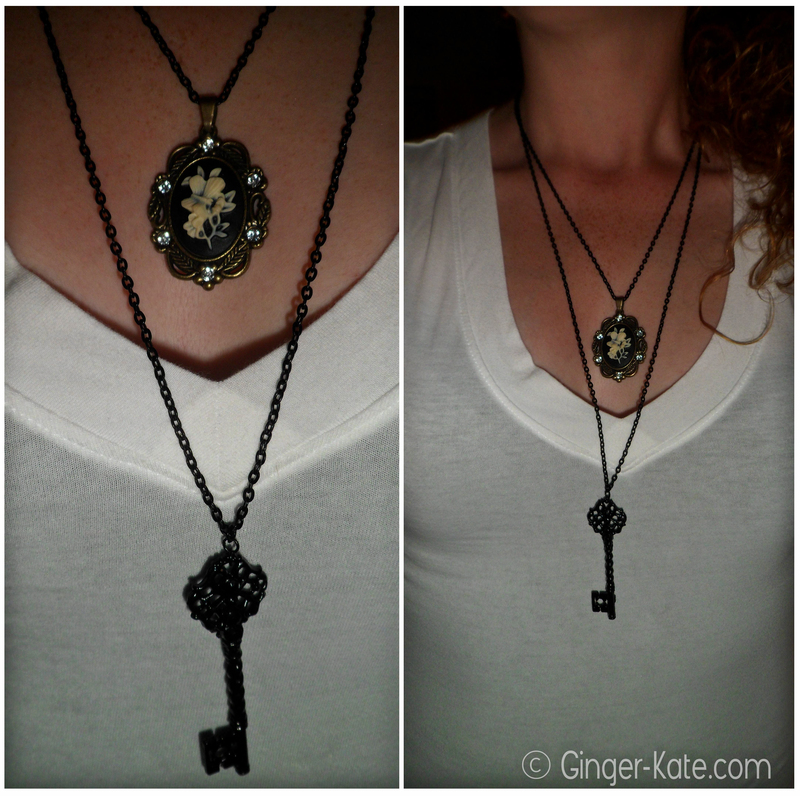 I made a two tier necklace with an antiquey theme. Thanks for reading! I still have some supplies left over so I’m sure I’ll put another one together soon enough!